All programming is planned in accordance with the Nebraska Judicial Branch Strategic Agenda. Be a trusted, collaborative, and respected catalyst for and provider of professional court administrative services. 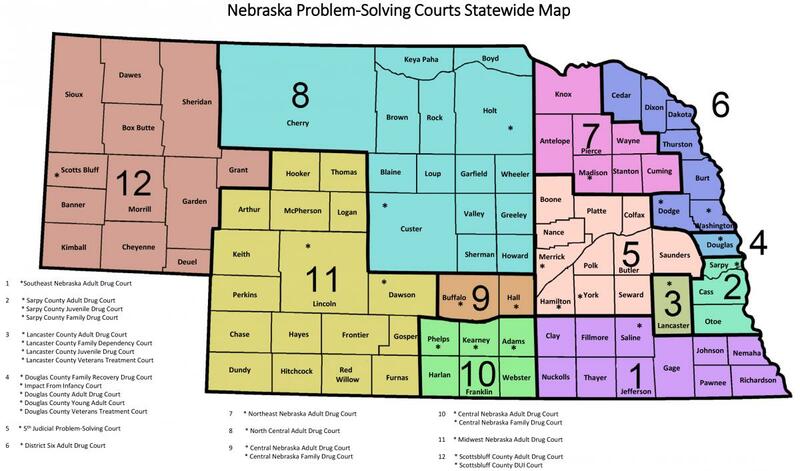 Under the direction of the Nebraska Supreme Court, the Administrative Office of the Courts’ mission is to ensure the public has equal access to justice using leadership, education, technology, and administrative services to implement consistent, efficient, and effective court practices. Integrity and Professionalism: As staff of the Administrative Office of the Courts, we hold ourselves to high ethical principles of integrity and professionalism. The principles of integrity and professionalism include fairness and impartiality; respect for the judiciary, colleagues and the public; responsiveness to the needs of a diverse population; and commitment to high quality service and faithful discharge of official duties. Innovation and Continuous Improvement: The need for continuous improvement and innovation drives the Administrative Office of the Courts’ efforts to provide resources and services to the courts and court users. As the public’s expectations for access to justice grow and change, we value innovation in advancing court practices, administrative services, and technology. Accountability: It is incumbent upon the Administrative Office of the Courts to be vigilant in our efforts to uphold and practice high standards of accountability. Accountability entails taking responsibility for complying with legal, policy and ethical rules in the performance of the functions of the Office. The core value of accountability includes good stewardship of public funds and property, effective and efficient use of resources, and open dissemination of disclosable information. Excellence: The Administrative Office of the Courts is committed to excellence in leadership, administration, and management. Consistent court practices are valued to ensure excellence for all court users. A high value is placed on rigorous and active continuing education, effective personnel recruitment, and development and retention of highly competent and diverse court staff. 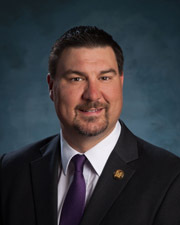 Corey R. Steel was appointed State Court Administrator on May 2, 2014, to oversee the administrative operations of the statewide court system. The State Court Administrator plans for statewide Judicial Branch needs, develops and promotes statewide administrative practices and procedures, oversees the operation of trial court programs and strategic initiatives, and serves as a liaison with other branches of government. Corey began his Probation career as a drug technician in May 1998 in then Probation District #15 (now District #3A) in Lincoln. He became an Intensive Supervision Probation Officer in Region F based in Fremont in September 1998. He then transferred to Probation District #20 (now District #3J) in Lincoln until May 2000. Corey resigned to take a position with Lancaster County as a Juvenile Justice Coordinator where he worked until October 2007. While there he had oversight of all juvenile graduated sanctions programs, county juvenile grant funding, and county funded juvenile services. In October 2007, Corey came back to Probation to fill the newly-created Juvenile Justice Program Specialist position in the Office of Probation Administration. In this position he worked diligently for the betterment of statewide juvenile services. 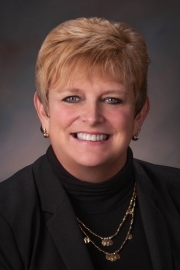 In April 2011, Corey was appointed Acting Chief Probation Officer for Probation District #4J in Omaha until the new Chief Probation Officer was appointed in October 2011. In December 2011, he was appointed Acting Chief for Probation District #1 in Beatrice while current Chief Sarah Rinne was out on leave until February 2012. In July 2012, Corey was appointed to the newly-created position of Assistant Deputy Administrator for Juvenile Services in the Office of Probation Administration and in July 2013 was appointed Deputy Probation Administrator for Juvenile Services.